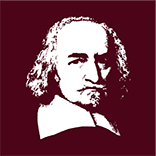 Abstract: Hobbes maintains that natural human reason can prove the existence of a “first cause of all causes.” But he also maintains that for all natural human reason can tell, the regress of causes might recede to infinity with no beginning at all. I argue that this apparent contradiction dissolves once we take his expressivist interpretation of religious language into account. For Hobbes, the proper function of talk about the divine attributes, including talk about its status as the “first cause of all,” is not to represent the nature of the deity, but simply to express our reverence and humility before it.